Glossy Floors is a leading epoxy flooring company serving Fayetteville, Bentonville, Rogers, and surrounding areas of Northwest Arkansas, Oklahoma, and Missouri. We are committed to delivering reliable and robust epoxy solutions for commercial and residential customers alike. From residential garage floor epoxy and specialized industrial concrete coatings to commercial concrete polishing, we do it all with a focus on high-quality products and superior customer service. Residential customers typically opt for garage floor epoxy, a durable and long-lasting solution that stops concrete dusting for good. An epoxy garage floor turns a dark and stained garage floor into a bright, seamless, and colorful surface that can last up to 20 years with minimal care. Professional garage floor epoxy is far superior to the results that can be achieved with DIY epoxy kits. We use industrial-grade 100% solids epoxy and thorough diamond grinding for a beautiful floor that retains its shine year after year. Glossy Floors also serves commercial and industrial clients in all industries with durable epoxy and polished concrete floors. Commercial epoxy is strong enough for even the most demanding environments including medical facilities, shopping centers, breweries, public safety buildings, and processing plants. Polished concrete can also be used in a wide variety of settings to transform an existing concrete floor into a stronger, less porous, and decorative floor system. Glossy Floors proudly serves the greater Fayetteville, AR area, including communities in Northwest Arkansas, Missouri, and Oklahoma. The following are our primary service areas in the region. While best known to outsiders as the birthplace of Walmart, this Northwest Arkansas town has a lot more to offer. Bentonville offers unlimited cultural and entertainment opportunities from cycling and hiking to its thriving arts culture. One of Bentonville’s crowning jewels is the beautiful Crystal Bridges museum and 120-acre park that’s connected to downtown with miles of trails to explore. Bentonville offers all of the amenities of major cities like Oklahoma City, Dallas, and St. Louis with small-town charm and history. 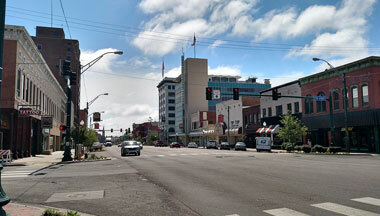 With a population now exceeding 65,000, Rogers is one of the fastest growing metropolitan areas in the country. This exciting Northwest Arkansas community always has something to do with trendy boutiques to visit, a live music venue, and fun festivals throughout the year. Rogers is also known for its nostalgic downtown with brick-lined streets set against Beaver Creek at the foothills of the Ozark Mountains. Whether you’re in the mood for shopping, hiking, fishing, or just exploring historic sites, you’ll never be bored in Rogers. 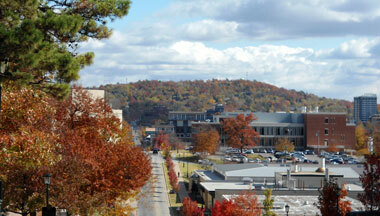 Fayetteville is one of the largest cities in Arkansas and located close to the University of Arkansas. Fayetteville, AR has been named as one of the best places to live in the U.S. and one of the best retirement destinations in the South. The city is known for its vibrant arts culture, hundreds of miles of bike and hiking trails, and an exciting entertainment district. 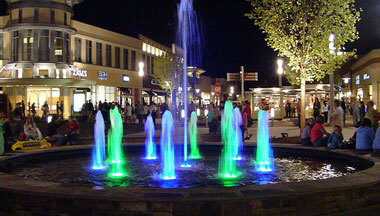 Some of Fayetteville’s most exciting destinations include Lake Fayetteville Park, the Botanical Garden of the Ozarks, and the nightlife on Dickson Street. Located in northeast Oklahoma, Tulsa is the arts and cultural center of the region with a metropolitan population nearing one million. Tulsa residents can enjoy the city’s famous Art Deco architecture, ballet and opera companies, art museums, and top-rated restaurants with endless things to do like the Tulsa Zoo, the Tulsa Botanical Garden, and the Tulsa Children’s Museum. 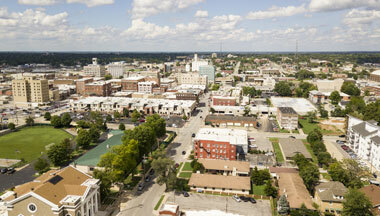 Springfield, MO boasts endless natural beauty, a thriving downtown scene with boutiques and music venues, and educational opportunities that make it a great place to live and work. The Birthplace of Route 66 now has a metropolitan population exceeding 550,000 with a diverse economy centered on manufacturing, education, tourism, and healthcare. The area offers a comfortable lifestyle with nearby access to outdoor activities like the Fantastic Caverns, Buffalo National River, Ozark National Scenic Riverways, and Lake Springfield. Located on the Arkansas River, Fort Smith has a rich history dating back to its origin as a frontier-era military outpost. 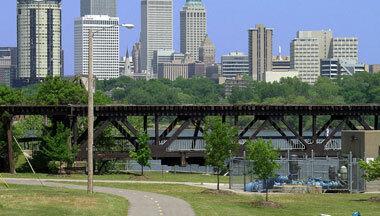 Today, Fort Smith has a population of more than 85,000 with all of the amenities of a big city with a laid-back lifestyle, a robust economy centered around manufacturing, and dozens of popular attractions and activities like the Riverfront Amphitheater, the Fort Smith Bikeway, fishing at Jack Nolen Lake, and Parrot Island Waterpark. Call now and get a free quote for Garage Epoxy Flooring services. Epoxy Flooring Arkansas is a professional and reliable epoxy flooring contractor in Arkansas. If you need an epoxy flooring system that is both beautiful and affordable then give us a call right now! 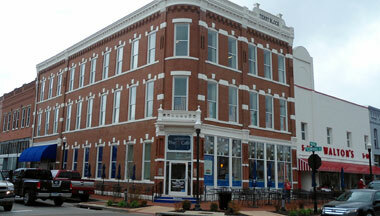 We are a third party referral company, all referrals are forwarded to an Epoxy Flooring Company in Bentonville.